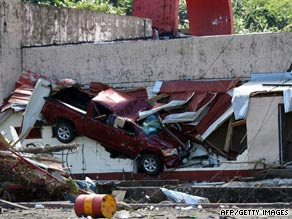 Yesterday a huge earthquake followed by a tsunami hit the Pacific Islands including Tonga and Samoa. According to CNN reports, the death toll stands at 111 and rising. Today let us pray in solidarity with the people of the Pacific Islands. Let us remember that even though earthquakes may come and tsunamis may strike, Christ has defeated death and the resurrection rescue is still at hand. Let us remember the suffering of the people in the pacific islands in our prayers and in our meals.